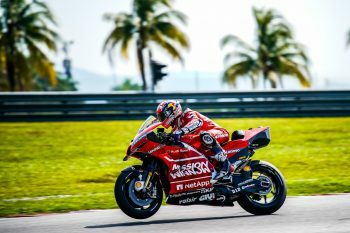 Andrea Dovizioso believes the strong presence of Ducati riders at the top of the timesheets on day three of testing at Sepang International Circuit in Malaysia is confirmation of a solid platform provided by the Italian manufacturer. Dovizioso wound up fourth in the official MotoGP test, trailing Ducati counterparts Jack Miller (Pramac Racing), Francesco Bagnaia (Pramac Racing) and pace-setter Danilo Petrucci (Mission Winnow Ducati). 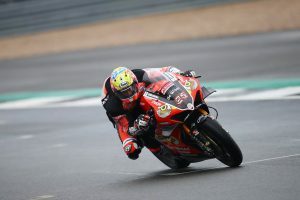 The Mission Winnow Ducati contender sampled a new fairing in the final outing that has drawn a positive review, although he admits it’s still too early to come to a conclusion on his final set-up. “All in all, this test has been positive,” Dovizioso declared. “It was important to push to the limit again today because we only have another test before the season starts, and we managed to post a competitive time even on a flying lap after being really consistent in yesterday’s race simulation. 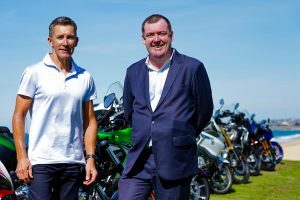 The MotoGP World Championship returns to testing at Losail International Circuit in Qatar on 23 February, while the season kicks off at the venue on 10 March.